Golem Gear Integrated Weight System for Tanks is composed of two pockets that carry up to 8 pounds of block or bag lead weight per pocket (16lbs total). Each pocket slides on the 2" cam band webbing and attaches to the tank. Each pocket has inner pocket with handle for quick removal. 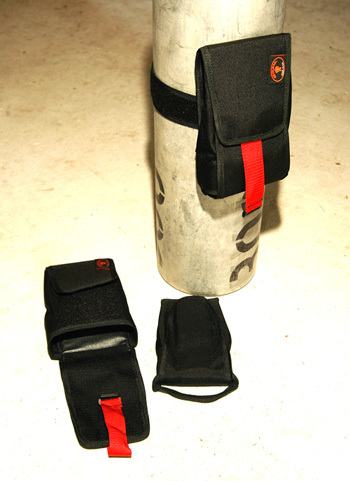 Ideal for most divers who want the benefit of an integrated weight system.